Making a connection with someone brings on a strong sense of pride. A feeling that, you not only had something in common with another human being but one of being understood. You were able to have a positive exchange. And what makes these interactions even more satisfying is that more often than not, you weren't looking for them. Either at that specific time or with that specific person. It took place all the same. Without the ability to network, however, these same conversations can't take place. Instead, you're left hoping a talk could have gone better, and wondering how to improve for next time. Rather than missing out on such important marketing opportunities, it's best to up your networking game beforehand. That way you're ready whenever a situation might arise. Keep business cards with you at all times. Not so that you can force them on people, but so you have a way for folks to remember you, should your job (or the call for future interaction) comes up. Not having a business card (especially if requested) shows you as ill-prepared, and likely to miss out on an incredible opportunity. Keep a holder in your work bag, purse, suit pocket, and even in your car. It's also a good idea to have a stash on you when taking personal outings. You never know a when networking opportunity might arise. It's also a good idea to have cards that will help you stand out. Plain white is easy to forget, while cards that are blank on the back waste half of your paper space from a marketing opportunity. Your cards don't have to be expensive but should encompass some very basic additions, like color, a full back, and a design that's easy to read, yet full of relevant information. If you don't network often, chances are you won't be very good at it. Just like with anything you do, you need practice to best hone your skills. When talking with others, introduce yourself, tell them what you do, and get a good handle on how others react. Are they responsive to what you say? Do they have questions and seem interested? Or do they act as though they're ready for you to be done and move on to another topic? See what gets the best response and then continue with that route for a more efficient use of your time. Meeting with others who are ready to network is the best way to receive positive results. (Vs. someone with a different agenda.) Get in touch with locals and see what type of options are available. 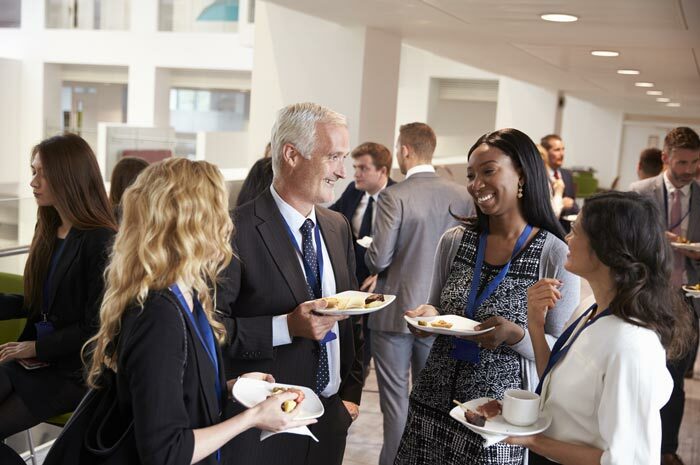 The more times you sign up for and attend networking-related events (while putting in your full effort and attention span), the more business you will get. If you're only out for yourself, others will soon catch on. And if you aren't willing to help them, chances are they won't be willing to help you, either. Instead, look at networking as a two-way street – the more you reach out to other businesses, the more likely that same treatment is to be returned. Or, if it's not, then it just might be time to find others to pull into your networking circle. Everyone has their comfort level of friendliness – just how peppy you are toward others. And even if that number is quite low, it doesn't mean you can't still be friendly to a respectable degree. Ask how others are doing, grow an interest in their lives, and so on. It's a practice that becomes a default behavior over time and one that will ensure you don't accidentally lash out at a potential client or act as though you aren't ready for new business. Essentially it's a way of living like a politician and gaining the trust of others, but in a way that allows you to be happy to do so. Or when you're flat-out, not happy, you can learn to keep those days to yourself. There's an old saying that says everyone has a story – but in reality, it's far more than an old wives' tale, it's true. Simply striking up a conversation with a stranger is easy (have a few go-to ice breakers if it helps), but it's harder to find something both parties have in common. But by effectively connecting through communication, you'll work to narrow this process and create more fruitful, succinct interactions every time you network. 7. Learn to “Turn it Off"
No one wants to talk to the 24-hour marketer. Even when you're still trying to market yourself and your company, it's best to do it in a more humble manner. Connect with the person, don’t fish for leads. Act genuinely. This behavior allows for more honest communication, and you’ll find profitable leads.